Activa Cleaning take Best Professional Care of your Commercial Premises anywhere in Melbourne. Our Team of Experienced & Dedicated Cleaners are well trained for all kind of Cleaning Jobs. Activa Cleaning Services provides flexible, top-quality and consistent office cleaning for small to medium businesses. Whatever your business type, from offices, hospitality through to retail, we can offer a cleaning service tailored to your business needs. Whether you want cleaning done during business hours, before or after business hours or even on the weekend, we can ensure your business is never affected. Why choose our office cleaning services? 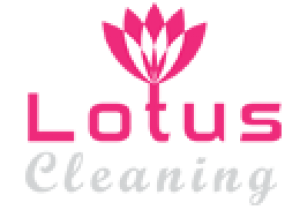 For the past 5 years, we have been offering Melbourne businesses, big and small, the most reliable office cleaning services. Thanks to our knowledgeable and experienced team of professionals, your commercial office will not just be looking brand new, but will be a more pleasant experience for your customers, clients and employees. Our prices are affordable for all businesses as we tailor our services to what your office requires. We will work around your business hours, thanks to our flexible timetable. We can clean your office regularly, whether on a weekly or fortnightly basis, or on a casual one-off visit.